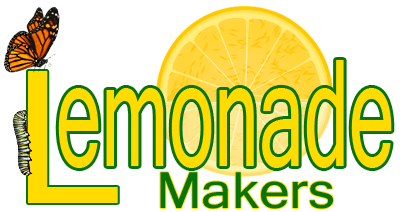 Thank you for signing up for LemonadeMakers Transformational Compass 3-Part Course! In approximately one week we will be sending out the scheduling email, along with some homework. Please try to watch the video, or read the material, or listen to the podcast as this will assist you in getting the most out of each webinar. They will each be two weeks apart, so that you will have plenty of time to do the work. We will also be sending you links for your bonus’s and an invitation to a private Facebook group, so that we can communicate as a community throughout the webinar series. Your 3-part webinar series begins on June 23rd and continues for 6 weeks (1 every two weeks). To claim your 1 month Free Trial of LemonadeMakers Club, click here, scroll to the bottom and click the “Join Now” button. You’ll be required to start your $27/mo subscription, but you on’t be billed for the first month. Cancel anytime in the first 30 days if you don’t wish to continue for any reason.